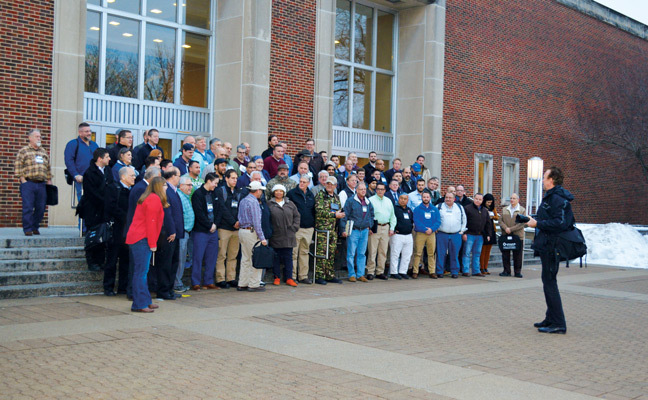 The agenda for the 83rd Purdue Pest Management Conference held last month listed a day, time and place for the “Annual Conference Photo.” For decades now, this group gathering has shown the smiling faces and future industry leaders present to learn about pests and the business of controlling them. On this page, with the invaluable help of Purdue Conference Manager Holly Fletcher-Timmons, we’ve gathered just a few from over the years. Got a photo from a year not shown? Share it with us on Facebook. 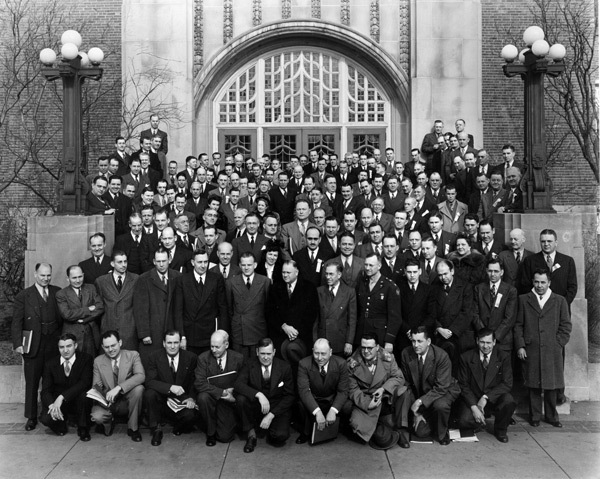 This 1937 photo includes PMP Hall of Famers Prof. John June Davis, considered to be the father of the Purdue program, and national industry association founder Bill Buettner. 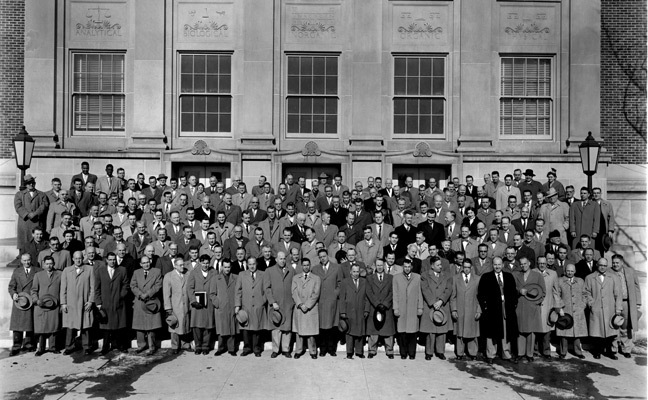 Buettner is the third man kneeling from left, front row. Prof. Davis stands behind him, hand on shoulder. 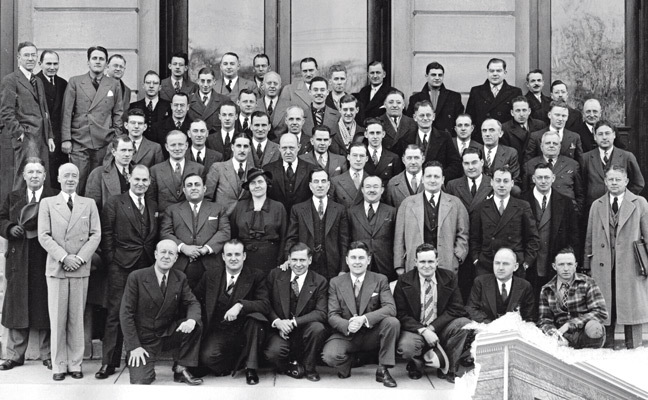 Here’s the class of 1944, right at the peak of World War II. 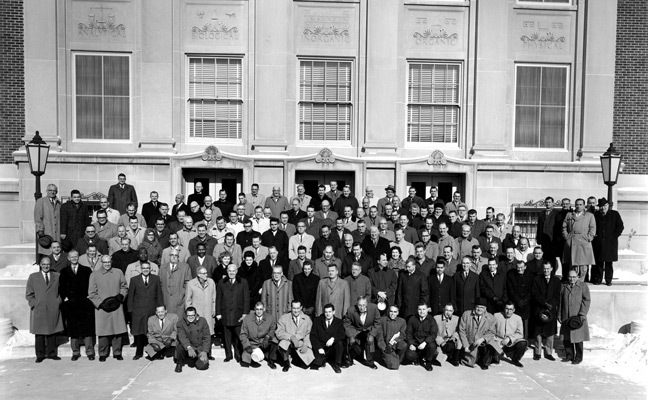 Here’s the class of 1955. Here’s the class of 1963. 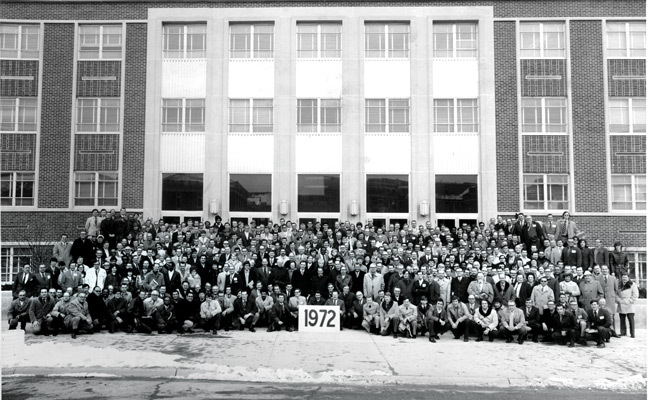 PMP Hall of Famer Dr. Gary Bennett, BCE, is in this 1972 group photo. The conference was actually his third; the 2019 conference was his 50th. 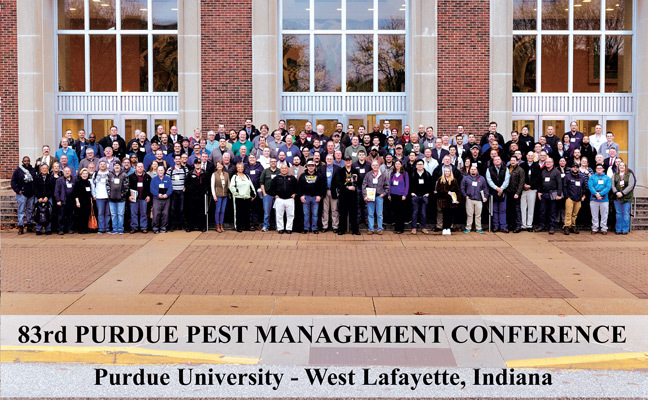 Watch a video of Bennett get honored for attending his 50th Purdue Pest Management Conference. 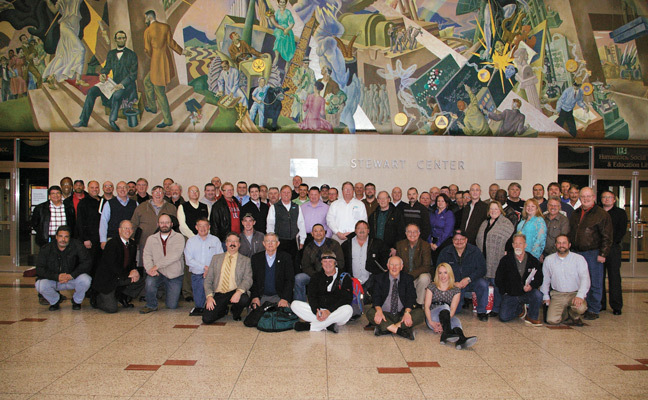 Purdue Conference attendees are a hardy bunch, but a blizzard forced the 2014 photo to be taken indoors — by one of the attendees. Thanks to the snow, the campus was closed and the official photographer couldn’t make it in that day. PMP Senior Editor Diane Sofranec snapped this shot of the 2018 conference photo as it happened. On Jan. 7, 2019, the day this photo was taken, it was 55°F on the West Lafayette, Ind., Purdue University campus. By Jan. 8, it was a more-seasonal 24°F.